Possession of up to an ounce in US capital decriminalized in new bill, fines drop from $1,000 to $25. Apparently, Washington DC has taken to heart US President Barack Obama's statements in January, when he claimed marijuana was no more dangerous than alcohol and acknowledged smoking the drug in his youth. A new bill in the American capital dramatically lightens repercussions for drug users. The new bill, signed by Washington DC Mayor Vincent Gray on Monday, decriminalizes the possession of up to an ounce (28 grams) of marijuana in the city. Gray's spokeswoman Doxie McCoy confirmed the signing of the bill, saying "he did sign it this morning," reports the Huffington Post. According to the new bill, possession of marijuana would be reduced to a civil violation, liable to a penalty of a mere $25. Until the bill, possession was considered a criminal misdemeanor, and held up to a six month jail sentence along with a $1,000 fine. 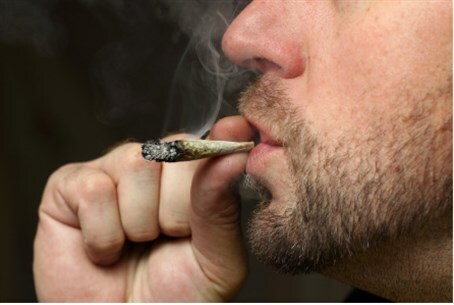 Pundits claim that the bill was legislated with black residents of the capital in mind; a recent study by the American Civil Liberties Union showed that black residents of Washington DC are eight times more likely to be arrested for having marijuana. The move is also seen as a political maneuver by Gray, who is in a tight race for Democratic primaries after being set back due to his links to a campaign finance scandal. The new bill is part of a wider move in various American states promoting drug use and possession. Colorado and Washington state both legalized recreational marijuana in 2012, and several other states have legalized the drug for medical use. Nevertheless, marijuana is still illegal under federal law. The new Washington DC bill will now undergo a 60-day review by Congress, which has constitutional powers to oversee state laws. In Israel, MK Moshe Feiglin (Likud) has initiated a bill which would allow medical marijuana to be prescribed by general practitioners. Last December, he criticized Health Minister Yael German (Yesh Atid), who was supervising the bill, for phrasing it in such a way that "invites corruption" and bogs down patients in bureaucracy.